Home » Popular Content » Can a Small Business Afford Paid Search? 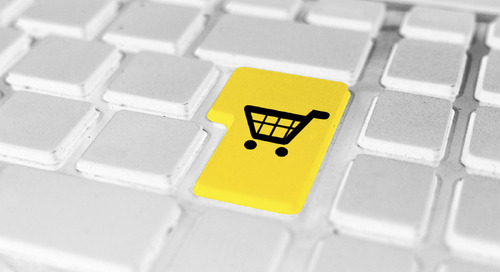 Many small business owners think that online advertising is expensive. It can be if you are doing it wrong. But an understanding of how the pricing works for ad services such as Google AdWords can save big bucks and get a great return. How much does it cost? How does Google AdWords pricing work? Google AdWords is a type of pay-per-click (PPC) ad that enables you to increase web traffic to your site. You pay each time your ad gets clicked. 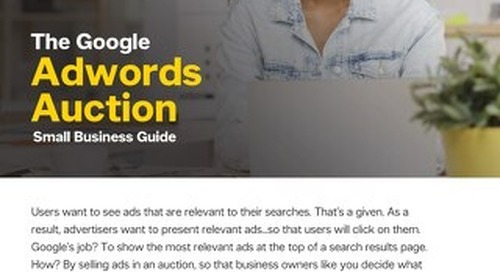 When it comes to pricing, Google AdWords uses an auction system where advertisers bid to rank higher for certain keywords. These keywords will help trigger their ad whenever someone performs a search using those keywords. Depending on the keyword and the competition, the price range for keywords can range from under $1 to $50 or more per click. In AdWords, the average cost-per-click is between $1 and $2, which means that even with a small budget, they can obtain results from their advertising. Although advertising with Google AdWords may seem a like a lot of money, done properly, it’s a great way to build your online presence and reach more customers who are looking for your business. As well, depending on your location, industry, and budget, you might even spend a lot less than average cost-per-click. Plan your budget strategically to help you save costs and target the right customers. Google AdWords provides a number of ways to set your budget. To begin, you can set your maximum cost per click bid, which is the highest amount that you’re willing to pay for a click on your ad. For instance, if you set a $2 max, you’ll never pay more than $2 for each click on your ad. The actual amount that you end up paying will likely be even less than your maximum cost-per-click. Some other ways to set your budget include setting a daily budget, dayparting (specifying when you’d like your ads to appear), geotargeting (allocating your budget based on certain geographical areas), and device targeting (specifying your budget to target certain devices such as mobile). TIP: You can use this pay-per-click calculator to help set your budget and determine the return on investment for your campaign. As well, aiming for keywords that are highly relevant with lower competition will also help optimize your campaign. You can use Google AdWords Keyword Planner to learn about how well each keyword performs. Google also determines the position of your ad and how much you will pay based on the quality of your ad – your Quality Score. A number of factors, including your keyword relevance, landing page quality, and user experience affect your Quality Score. By improving your Quality Score, you will see more results in your ad campaign and reduce your spending. TIP: Improve your Quality Score with these tips. To help you create a more effective PPC campaign, we have a free guide available for you. With this guide, you’ll learn how to strategically plan your online ads and boost your return on investment. Learn how to budget your PPC campaigns with this guide.